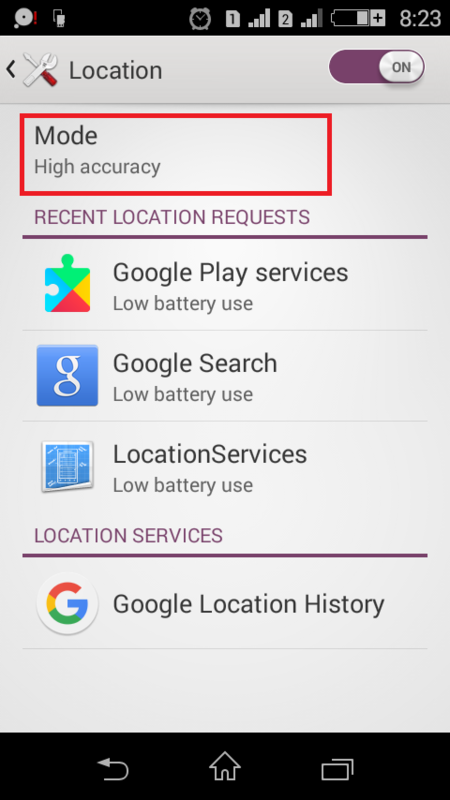 How to Turn off Location Services on Android? Location services are associated with some great use but contrary to this have some consequences as well. The battery drains up quickly and somewhere or the other, you might be sharing your location details to vulnerable sources. So, if you want to know how to turn off location services then you are at the right place. So, let's get started with how to turn off my location? Location services are of great use on some occasions, but one might want to turn off location services on his/her Android device for whatever reasons. If yes, then the section ahead will definitely help you out. So, let's see how to turn location services off? 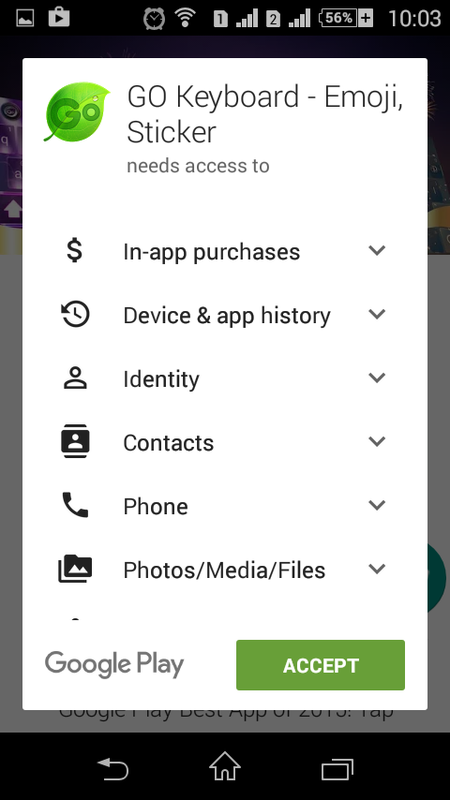 Step #1: In this very first step, you will have to go to your app drawer and look out for the settings icon which is usually very similar to the gear-like icon (However, this may vary as per your theme pack and Android version). Once you've found that, then you need to tap on that in order to open that. Once done, you are required to move on to the next steps for further proceedings. Step #2: The previous step will land you to the settings dashboard. In this step, you are required to scroll down a bit for location section. Once you have reached there, you have an obligation to tap on “Location” option. Step #3: In the following window, all that you need to do is to switch the slider to off position. In the older version of Android, you will get the slider at the top right corner of the window. For the newer version, you may need to scroll down for “Google Location Settings” and then switch off the slider next to location reporting and location history. 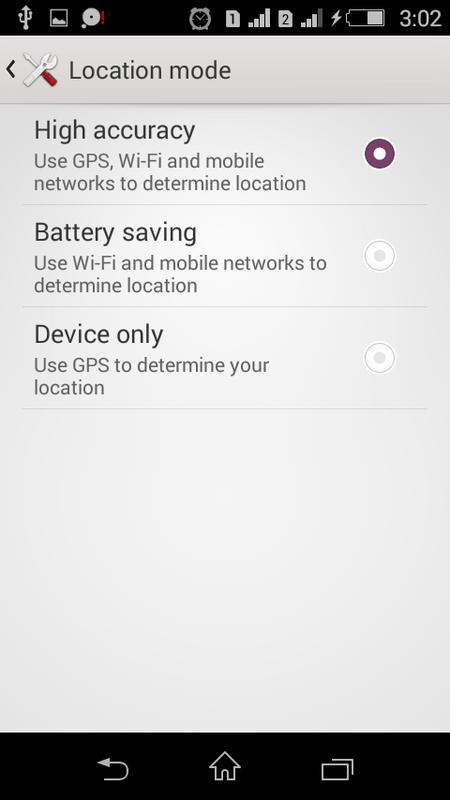 Additionally, you can change the mode of the location services to high accuracy, battery saving or device only. High Accuracy mode will use GPS, Wi-Fi, and mobile networks to determine location. The Battery saving mode will use only Wi-Fi and mobile networks to determine location. On the other hand, the third mode will use only GPS to determine the location. To activate any of these modes, all that you are required to do is to tap on the radio button next to the desired one. 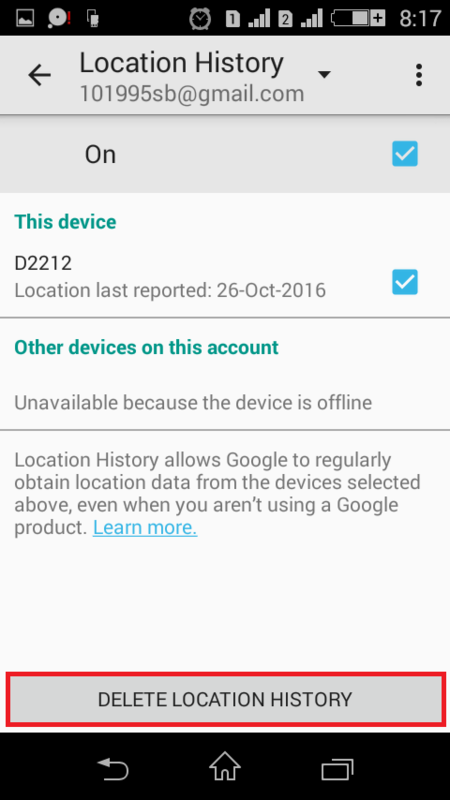 This way you can quickly remove the location history on your Android device. Remember that; you need to do this for every Google account that you have on your Android device. Additionally, if you want to delete your location database from the web, then you need to follow the link. Once you are on the web page, then you now need to select the precise date of which you want to delete the history. Once done, you are then required to click on the delete button, and this will remove your location data from the Google database. Also, in the location window, you will get to see the various services with recent location requests. You can disable any of them just by tapping on it and then in the subsequent window, you need to tap on “Force Stop”. However, this is not at all recommended. We are just making you aware of the things. To add this to your fact library, let us tell you that you can turn on the location services anytime you want. All that you have to do is to switch on the location services. 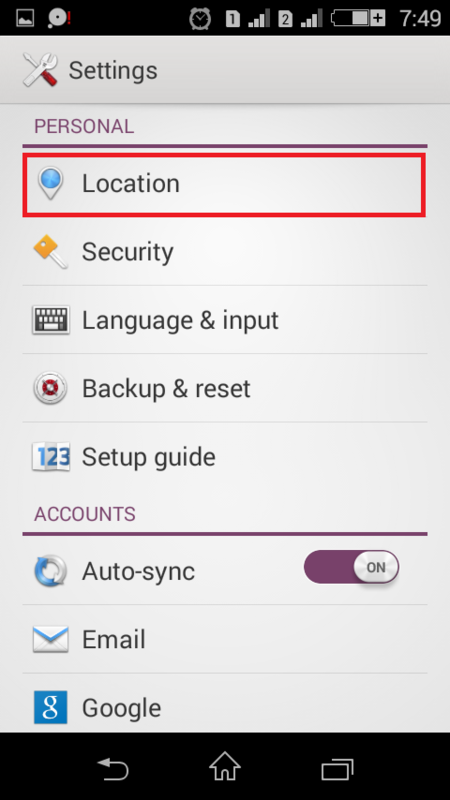 [Additional Information]: How to turn off location services on iPhone? So, in case if you own an iPhone and you need to know How to turn off location services on iPhone then you are certainly at the right place. So, let's get started with the same. Step #1: First of all, you will have to get into your app drawer and look for the settings app. Once found, you need to tap on it. This will leave you with your settings dashboard in front. Now, move onto the next steps. 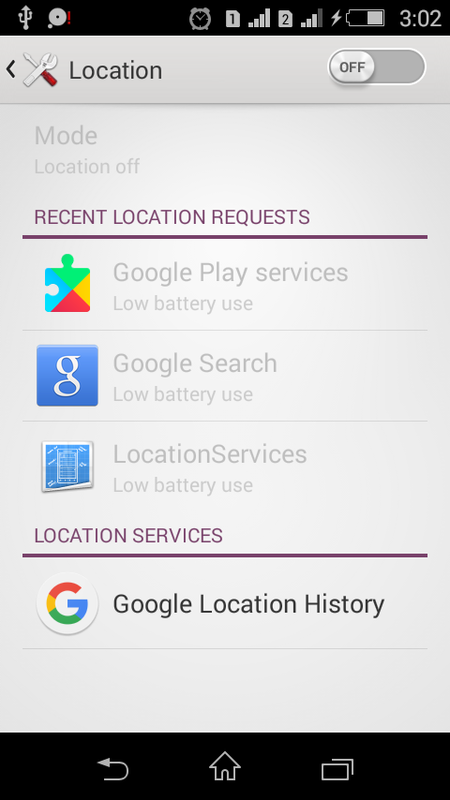 This will show you the list of all the apps which can access the location information from your device. You can switch them off all at once just by toggling the switch button next to location services to off. Other than this, you can also switch off the location services feature for a particular app by sliding the toggle bar to off position next to the desired application. Also, you can alter the location services usage settings by tapping on the app name itself. This is exactly how you can turn off location services in an iPhone. So, this was all about how to turn off location services on Android device? Additionally, you mush have learned about how to turn off location in an iPhone. We hope that this article must have added worthwhile value to your knowledge base. We would love to hear your feedback. If you have any queries and suggestion then do let us know through the comment section down below. Also, do not forget to hit the share button and help us spread the word. Thank you for passing by and giving it a read. Keep visiting and stay tuned for more. How to Turn Off Cellular Data for Specific Apps on Android? How to Change the Primary Gmail Account of an Android Device? A student of life, writer, technology freak, and a thinker. Have you lost your text messages? Want to retrieve deleted text messages on android? Wondering how to get it back?? If yes, then don't panic you can get it back easily. Surmise how? I will show you below. We often save some of important business messages, some vital information in the form of texts messages that we get from friends relatives, and many other reasons are there we prefer to store text and SMS's on our android devices. But the trepidation moment happens when we accidently delete those important texts while playing with android touches. So, if you have deleted or lost your text message and wondering if can you retrieve deleted text messages then keep reading the post I have described below step by step guide to learn how to restore deleted text messages and contacts on android. In today's guide, I will show you the best working method to restore deleted text messages and retrieving deleted text messages on the android device. There are many apps available on the android market which claims for recovering deleted text messages on android, but all of them are not working always. I have seen many people asking others and putting queries like can I retrieve deleted text messages? How to see deleted text messages? Can you recover deleted text messages? how do I retrieve deleted text messages? And so forth. So today, to solve all the queries I have come up with a guide that is how to get deleted text messages. The step by step guide is given below stay tuned. Step 1: First of all download and install a software named Android Data Recovery. 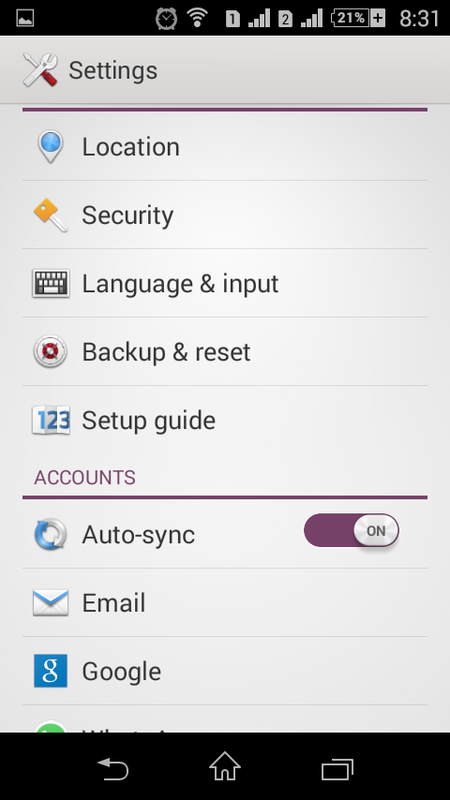 This app is basically designed to recover deleted text messages, media, contacts and files from the android devices. Step 2: Once you download and install the application on the PC, connect your android device to the system via USB. You will see an image similar to the image shown below. Step 3: After connecting android with PC you will be asked to enable USB debugging. Now, enable Android USB Debugging on your android phone. If you have already enabled USB debugging to your phone. And you will be directly switched to the step 4. If not, then follow the below instruction to enable it. Note: The method to enable USB Debugging varies to the device to device. I have shown below some of the android versions. If you hold an android version 2.3 or earlier, then try the below method to enable USB debugging. Go to Settings —> Applications —> Development —> USB debugging. If you hold an android version 3.0 to 4.1, then try the below-given method. If you hold an android version 4.2 or newer, then follow the below method. Step 4: Now, once you have enabled debugging to the phone, you will see a screen showing a progress bar. See the image below. Step 5: After that, you will see a big green Next button simply click on that and you will be redirected to a new window. Where all you have to do is select the type of files you want to recover. If you want to recover Text messages only click on Messaging. And then click on Next. Step 6: Now as you can see Android Recovery Tool is analyzing the device it may take few minutes to complete the process depending upon the size of the data you are about to recover. Have a look on the screenshot. Step 7: While the scanning process is in progress, your device will get restarted don't panic, it's just a part of the process and wait till the scanning is finished. Step 8: After the process is complete you will see a screen containing all the messages which you have on your device as well as the messages you have lost. Now click on the recover button placed at the bottom right corner. See Also: How to Schedule WhatsApp Messages on Android Phone? That's it!! You are done!! This is the complete procedure to restore deleted text messages on android. Also, you can follow this procedure to recover your lost photos, contacts and everything which you have on your device. If you find any difficulty in recovering the data with the above-mentioned procedure feel free to ask. Note: If you have lost your data and have decided to recover them back, then make sure you don't delete other data on your device to avoid the deleted messages from being overwritten by the new data. If you do so all your data which you have lost wouldn't be ever recoverable since deleted text or data initially get stored on the phones' internal memory but if you rewire the data then you may lose data permanently. This was all about how to view deleted text messages and how to restore deleted text messages Hope you enjoyed our tutorial. If yes then do share it n the social platform. How to Add Emoticons to Instagram? 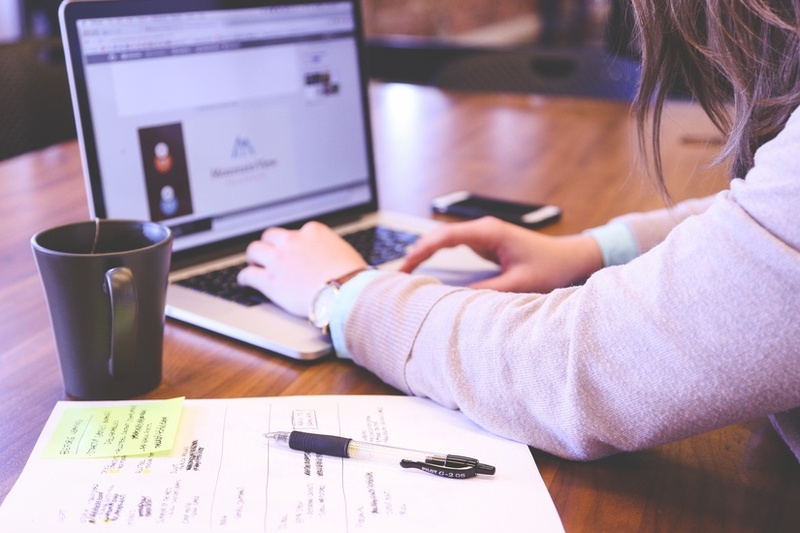 It’s not always easy to express yourself online; there are now so many different ways to do that and so the way that people have begun to post over the last few years has changed drastically. 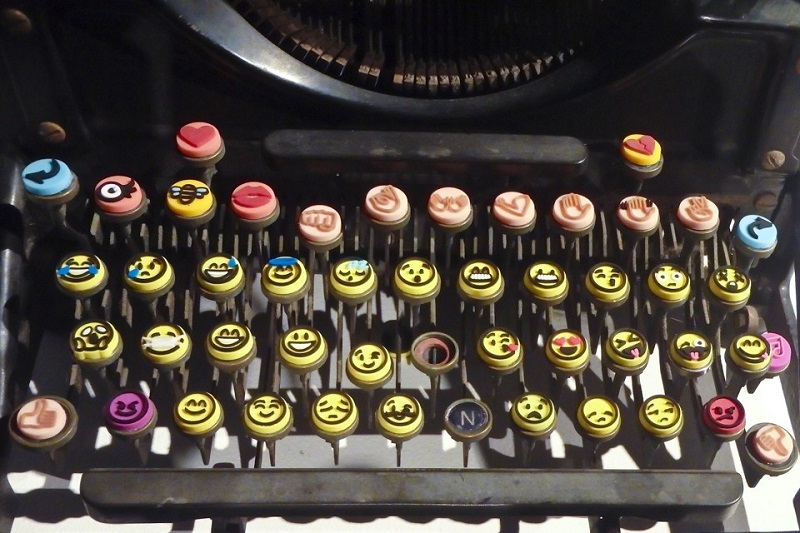 Now, hashtags and Emojis are all the trend, replacing conventional type-based smileys like :D, :P, XD, >.<, ^-^, T_T. 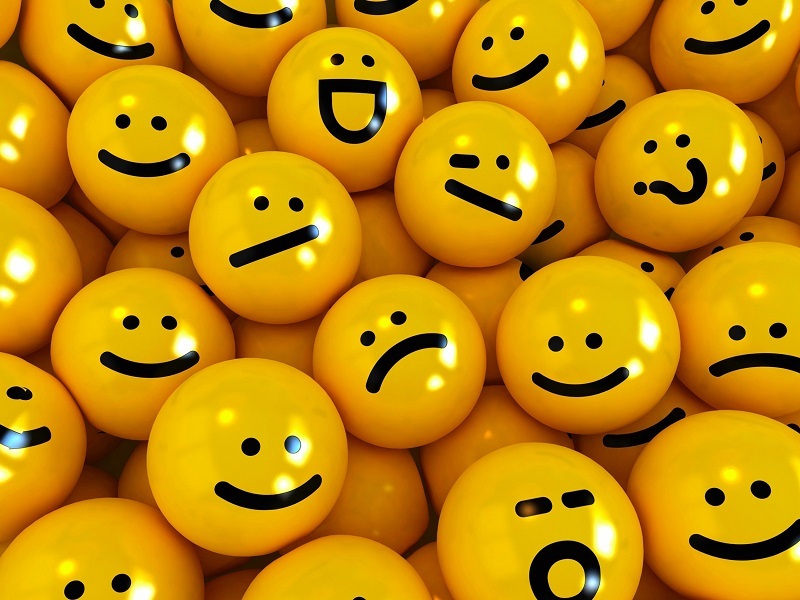 A common problem now with creating funny and expressive posts is how to add attractive and expressive emoticons and Emojis to your Social Media Posts. With regard to this, here’s our guide on how to add Emoticons in Instagram. If you’ve ever asked yourself how to get Emojis on Instagram or how to use Emojis on Instagram app or even how to turn on Emojis on my smartphone”, then this Instagram Emoji guide is for you. We’re going to start you off basic, though. Let’s look at how to add Unicode emoticons on Instagram first, since this works cross platform. How to Use Unicode Emoticons on Instagram? If you’re a social gamer and/or a fan of memes, you know the Unicode Emoticons are famous for expressing funny statements in the most creative text based ways. If you don’t know what they are, here’s something to jog your memory. ┬─┬ ︵ /(.□. \ In soviet Russia: Table flips you! To use these awesomely expressive emoticons, just go to http://unicodeemoticons.com/ and copy paste them into your post. Note: This will work with anything. How To Add Emoticons in Instagram Via Smartphone? Step 5: Wait for the search results to compile and click the result with the icon of a red-orange heart with an S inside. Step 10: The setting configuration should pop up. Mess with these to figure out what you like and what the app is capable of. Step 16: You should see a notification tile referring to the Cool Emoji app you installed. Tap it. Step 18: Tap on the Emoji you want to use. A message should appear, saying that the Emoji was copied to the clipboard. Step 19: Since the Emoji was copied to the clipboard, simply go to your created post and paste it where you want to see it. Step 20: Repeat steps 15-19 to add different Emojis. And that’s all folks! You are now ready to post emoticons on your Android phone. And, that’s how it’s done! Using Emojis is a great way to express yourself; in many ways, it’s an art in itself. We hope this guide solved any and all issues you had using Emojis for Instagram. Emojis make your posts look brighter and better; the best part of the emoji (except the Unicode emoticon) is that it takes up just one character space on your post and yet conveys what you want to say in a simplistic way. Modern emojis have expanded online text-based expression of thought and feeling. They are now easy ways to express what we want to without actually saying anything. All social media now integrates smileys and emoticons to make their pages more interactive and attractive to the general public. The good news is once you follow the above steps, you will be able to add smileys to all kinds of things from the respective locations, so get ready to make your texts, IM’s and other text media messages a lot more attractive! We had a lot of fun writing about how to add Emoticons in Instagram; as a social media enthusiast, the use of emojis is indispensable in expressing your feelings about a topic. Sometimes, just the emoji is enough to communicate whatever it is that you want to. Have fun using your own! 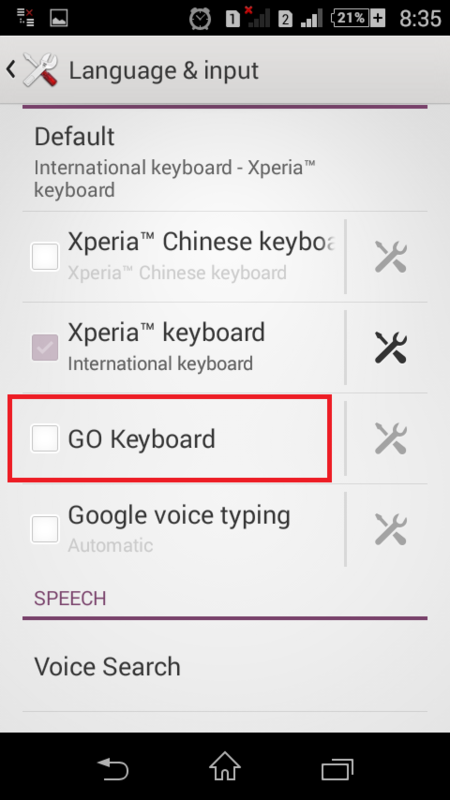 How to Change your Android Keyboard? Bored of your present Android keyboard and want to know how to change your Android keyboard? If it is a yes from your side, then this article will guide your through the process of “How to replace your Android keyboard“. 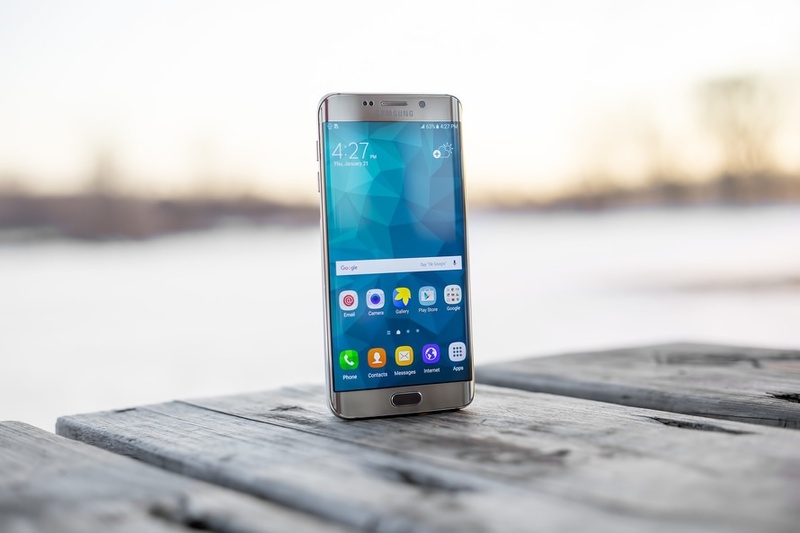 You can install custom ROMs on your Android smartphone to give it a whole new look but for that you may need to Root android phone. If you don't know about Rooting Android phone, check that out. Moreover, in this article, you will also get to know about changing your keyboard in iOS devices also. Step #1: First of all, you will have to download the keyboard which you want to change as the input method on your Android device. For this, you will have to visit the Google play store or any other Android application store. 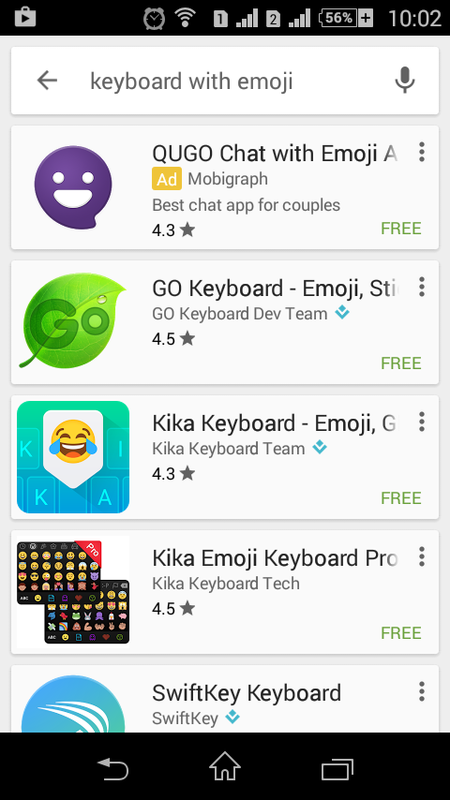 Once you have reached there, then you now need to make a search for the similar keywords like “Keyboard”, “keyboard with emojis” and others. This will lead you to a plenty of results. After this, you can select the keyboard application which best suits your needs. You can select the keyboard by going through the specifications like average ratings, reviews, and number of downloads. 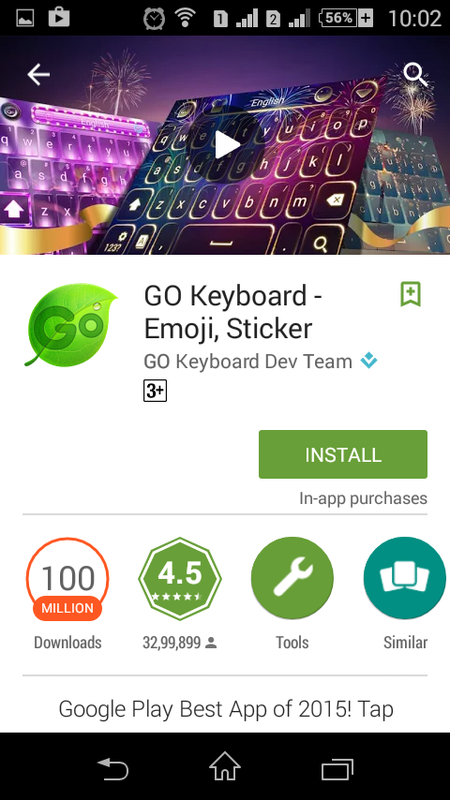 Once you have decided on a keyboard application, then you now need to download and install it. For this, just tap on the keyboard name and from the subsequent window, tap on install and then follow the onscreen instructions to download it. If you don't have enough storage, you have to make space for the new app. You can easily make space for the new app. Here is how to fix insufficient storage. The moment you are done with the mentioned then you are ready to go to the next steps. 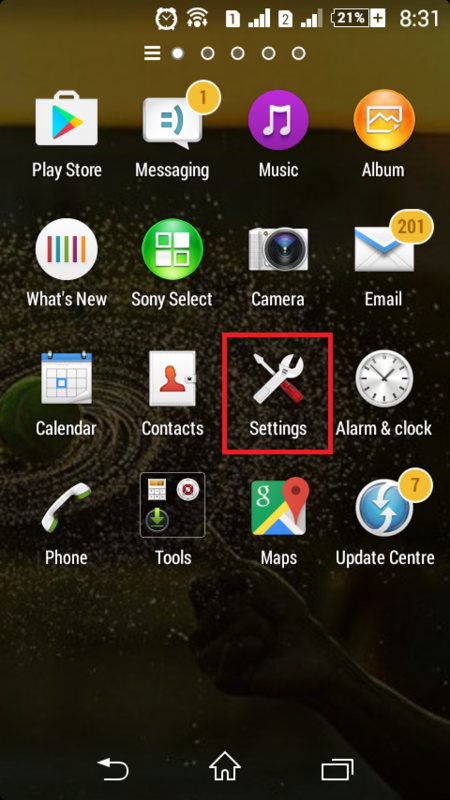 Step #2: Now, you need to go to your app drawer and tap on settings icon which looks very similar to the gear or tools icon. This will open the settings window for you and further proceedings; you will have to give a look to our next steps. Step #3: Under the settings window, locate for the “language and keyboard” or “language & input”option. Once found, you need to select that one by tapping on it. Depending on your device type, the option may be named as “Locale and Text”. So, don’t worry if you could not find “Language and keyboard” option on your device. You can certainly go for the other one. Once you have located the keyboard, then all that you require doing is to tap on the box next to it. Hurray, you have selected your desired keyboard. Step #5: In this step, you are required to type anything. It’s sure that as of now, you won’t be seeing your desired keyboard. To get access to that, you will have to make use of the text field. To do so, you need to tap and hold the text field until the moment a pop-up window with options appear in front of you. From that window, you need to select “Input Method”. After this, all that you need to do is to choose the keyboard which you want to use as the input method. If you think that how do I switch between different keyboards then the answer is quite simple. All that you need to do id to tap and hold the text input field and then select the option named as “input method.” After this, from the follow-up window which appears as a list of all your installed keyboards, you can quickly select our desired keyboards. 1: Swift Key: It is one of the best Android keyboards. If you ask me to bet on then, Swift key will be my say. In many devices, it comes pre-installed. The fact that makes it more wonderful is the prediction method. Did you know that earlier Swift Key used to be a paid app but later on it was made available for free? 2: Chrooma keyboard: It is a paid Android keyboard, but it made its place through the list because of its awesome features. It has support for over 60 languages and comes up with several emojis to make your conversation alive. You can make use of swipe typing feature. Additionally, you can also resize it and change the color accordingly. This way you can customize it at your won. Overall, it's worth going for. 3: Fleksy Keyboard: A yet another useful keyboard which makes its strong presence when we talk about best Android keyboards. It has a special kind of prediction feature which makes the use of swipe and gestures for it. It is available in 40 themes, and you can even customize its sizes. Above all, you can download it for free. 4: Multiling O Keyboard: If you are very frequent while using multiple languages on your phone then you must go for the “Multiling O Keyboard”. It has a support of more than 200 languages. 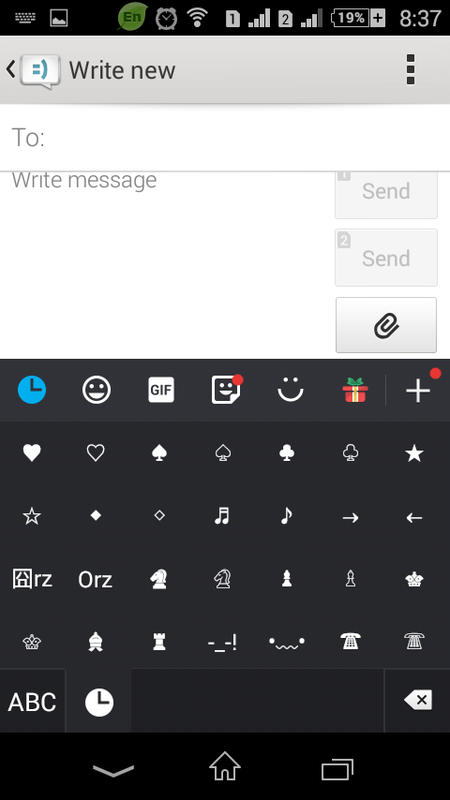 Additionally, like all other Android keyboard applications mentioned over here, you can also resize it, make use of gesture typing and PC type keyboard. Moreover, you can get access to it for free. 5: Smart Keyboard Pro: Priced a little above two dollars, it holds the privilege of being on the list of best android keyboards. The fact where we will be stretching our words while recommending for this Android keyboard is its simplicity along with the majority of its features like emojis, auto-correct, and others. You can go for it if you want a simple keyboard which does not clutter your device screen with hell lot of unwanted features. So, this was all about “How to change your Android keyboard?“. We hope that using this method; you will be able to know “How To Install & Switch The Keyboard Input Language In Android?” Well, if you wanted to make your own Android Keyboard App, you can do that. But you need to learn how to create an Android app. Moreover, if you liked this article and was able to do the required then do not forget to share it with your peers. Thank you for crossing by and giving it a read. 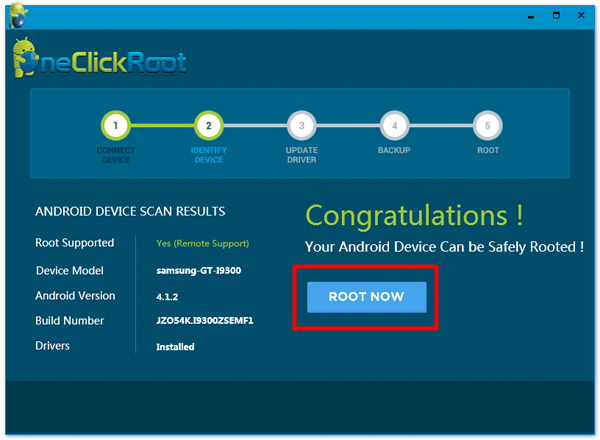 How to Root an Android Phone? If you are completely new to the Android world, root android phone might sound exotic to you! And it's completely alright. No one born as a techy and top of that, you are not the only one in the world who asks questions like what is rooting a phone or how do I root my phone. So take a chill pill and read out this guide. This article is designed to give you the complete A to Z knowledge about Rooting! In this article, you will get to learn how to root an android in all the possible ways. Because an Android can be rooted with a computer well as without involving any computer or laptop. There are a number of apps which offers the rooting in the easiest ways possible. Rooting is the great thing which lets you take full advantage of the features on your android phone and given you the developers authorities. This is just a quick view of rooting. There is lots more in the guide about rooting! So let's get started with the guide. As we have promised to teach you everything about rooting including how to root android phone, its pros, cons and exactly what rooting is, let's dive deeper into the guide and learn what does rooting your phone do!! I'm 100% sure after going through the guide, root my android won't be a query for you anymore! An Android is not designed to give the full access to users. There are some features which are only accessible by the developers. The Rooting is the process of gaining full access to phone and having access to all the system folders, files, and commands which are not usually available for the normal users. You might wonder, why to root an Android phone?? Isn't it?? You might want to root your phone while downloading some apps which asks you to have superuser privileges and can't be downloaded in without root mode. Or to install flash custom ROMs. There might be more reasons for rooting android which you will get to know you'll become an avid user of Android. For the below reasons, you might want to root your phone. Rooting voids the warranty of your phone. Apart from the warranty, the major issue which arises with Rooting is security. Rooting makes your phone vulnerable to security threats. Rooting might let you download some apps but at the same time it prevents us to using some important apps like banking! Many official apps might create problems while updating in the rooted phones. 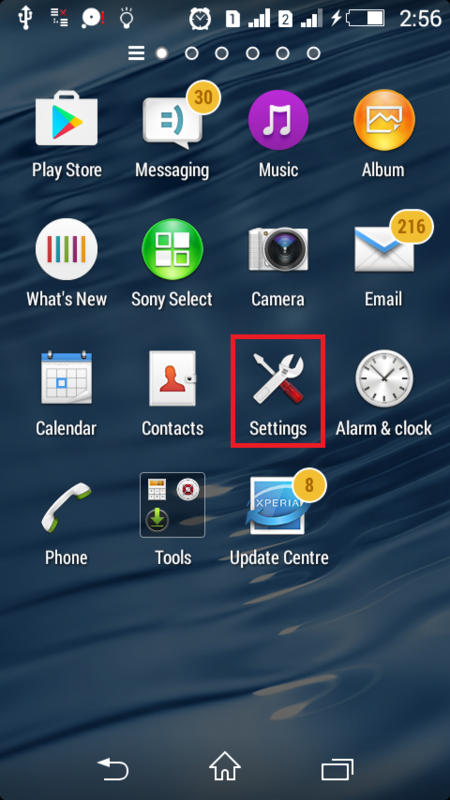 Before you go to root your phone, do have a look at the drawbacks of rooting an Android phone. Rooting enhances the functionality of the Android phone by letting you download the additional apps and flash custom ROMs. Rooting lets you do Overclocking and underclocking. By rooting your phone, it becomes really easy to remove carrier bloatware. You can have access to the recovery options and several other features which are not available for normal users. Before you start rooting your phone, make sure your phone have at least 25% of battery to avoid any kind of obstacle while running the rooting app. Also, keep a backup of your phone before starting the rooting. Although, rooting won't harm any data on your phone but to avoid any kind of risk, it is highly responded to take a backup before rooting your phone. Also, debugging should be ON, on your phone. Once you are sure of above Three things, you can start the rooting process! 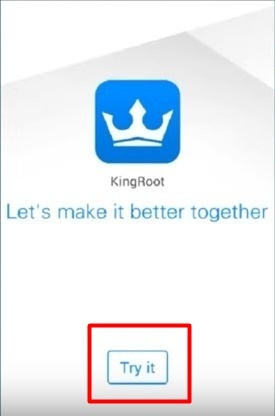 There are, however, many rooting apps available for rooting an android like one-click root, Kingoroot, Kingroot, KingUser etc but we will be using the Kingroot app for rooting the Android phone. Here's how to use this app to root your phone. Step 1. 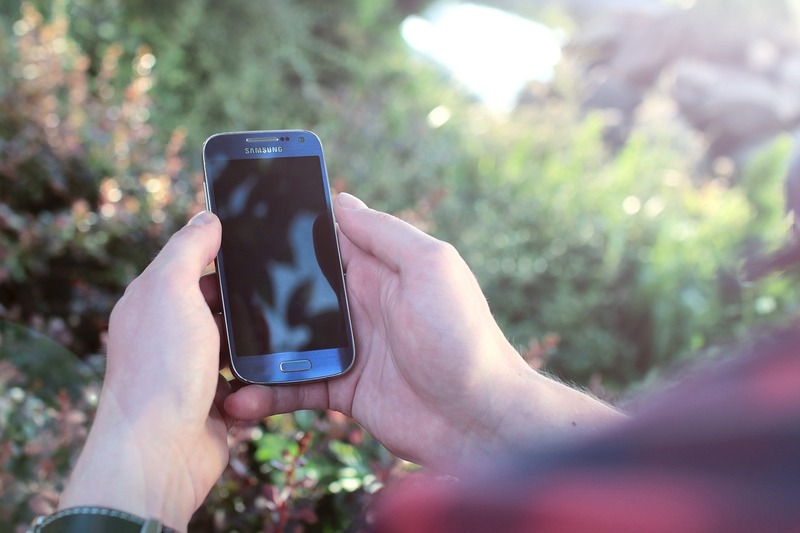 The first and foremost step is to download the Kingroot app on your phone. But for this, your device needs to have Unknown sources checked on. For this go to Settings > Security > Unknown sources and check it on. Now click here and download the Kingroot app or download it from the official website of Kingroot. Once the app is downloaded, just open it up. you will see the following screen. Now click the Try now button at the bottom of the above screenshot and wait for your phone to get rooted. Soon after, you will see a success message on the screen that your phone is rooted successfully. Yes, it's that simple. You can unroot your phone anytime by uninstalling the app. Now let's see what are the steps to root an android using a computer. 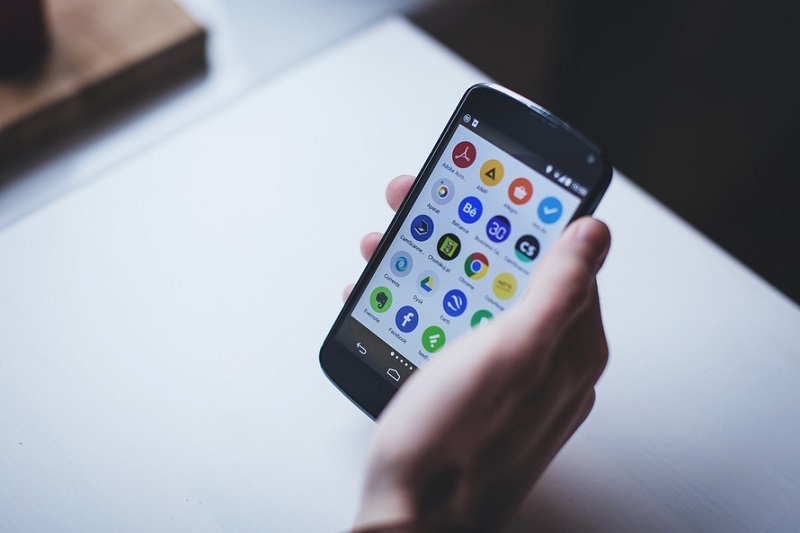 A big chunk of android users loves to use an app for rooting an Android Phone. Because it's easy plus you need to be in front of your computer. But if somehow, the rooting apps don't work out for you, you can still root your phone using a computer system. Here's how to do that! The first thing you need to do is download and Install the One-click-root software on your computer. Once the software is downloaded and installed, connect your phone to the computer. Your computer will try to detect the connected device in order to root it. Once the phone is detected, you will see a success message that your phone is now ready to be rooted. The screen may look like the below screen. 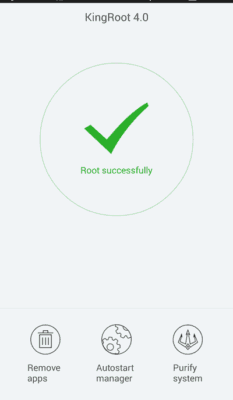 Now click on the Root Now button and wait for your phone to get rooted. It might take few minutes so wait patiently. Is indeed is one click root method. Isn't it?? It's not compulsory to use the same app we suggested for rooting. There are several other apps like the Kingroot, Kingoroot, root master etc which you can use to root your phone. So, that's it for the guide! Still have any question on How to root an android?? You are all free to drop your query below! And don't forget to tell us your favorite app for Rooting an Android phone. All of us are familiar with Internet Browsers. In fact, chances are you're reading this article on one of them! So if some software were to change our favorite browser to something we do not like, then what can we do about it? This article was written to answer that very question so that you know how to how to change default browser on your devices. Moreover, we also have something that can help you in changing the language in Google Chrome. 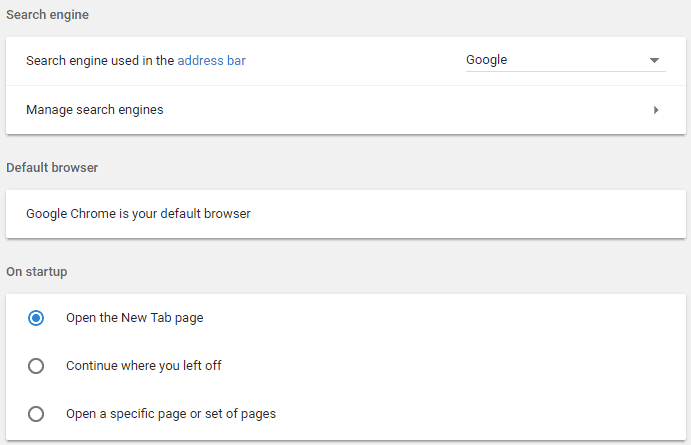 Now, having our browser preferences changed is a harrowing experience, and we are frustrated at the thought of how to change my default browser back and get my previous settings. We elaborate on that in the latter portion of this article but first a word of warning. You should always install anti-viruses to protect your computer from such browser changing malware as a lot of information can be gathered through cookies present in your internet browser. If you are a Mac user and wanted to clear the Cookies on Mac. You should definitely take a look on that. Today we will be showing you six methods in order to answer the question how to change your default browser using different browsers as well as Operating Systems for examples. So, without wasting any more time let's get right into it! At first, you have to open Google Chrome browser on your device. Then click on the Tools button at the top right corner. Go to the settings option. Keep scrolling down until you see the default browser option. Then click on add as the default browser. Open up internet explorer on your PC. Go to the top right corner and open the ‘tools’ menu. Select the ‘internet options’ button from the tools menu. A dialog box will appear. From the number of tabs that are visible within the dialog box select ‘programs’. Come to the ‘default web browser’ section next. There may be written, “Internet Explorer is not currently the default web browser.” You have to select the ‘make default’ button beside that. Press ‘ok’ once you are done. Fire up the Firefox Web browser on your desktop. Under General tab, you will see the first option to make Mozilla Firefox your default browser. If Firefox were not the default browser previously, you'd now receive a popup notification asking you to change Firefox to the default browser. Click ‘ok’ to make Firefox your default web browser. Click on the Start menu. Then type default programs and go to the default programs option. Select the first option ‘set your default programs’. The list of your programs will appear. Click on your preferred browser. Then come to the right side and select ‘set this program as default’. Click on ‘ok’ button to complete your task. You may be asking yourself, “How do I change my default browser on my Android smartphone?” Well, it is basically a two-step process that involves first checking of there is nay other secondary browser installed on you Android device nad if it has already been made into a Default Browser. Open the ‘settings’ app on your Android phone. Look for the browser that is your current default browser. Now swipe the screen and go to the ‘All’ tab. You will get a list of all the applications on your phone. Now tap on your default browser if you see it. Choose ‘clear defaults’. This is how your default browser settings will be removed. You have cleared your default settings. While following the steps mentioned above if you see your ‘clear defaults’ button is grayed, and you are unable to select it then you have no default browser setup in your phone, or you have only one browser installed on your device, and that is not default. Open any web page link. Your phone will ask you through which browser you want to open it. Select your browser in the ‘complete action using’ box. Under that you will see two options ‘always’ and ‘just once.' Select ‘always’. From the next time, all of your web links will open through that browser. Click on that and you have successfully learned how to change default browser on Android. If any of the web browser is getting slow or loading slowly, it is due to cache memory. You need to clean the cache memory of web browser. Here is how to clear cache in Chrome, Firefox, Internet Explorer & Safari. 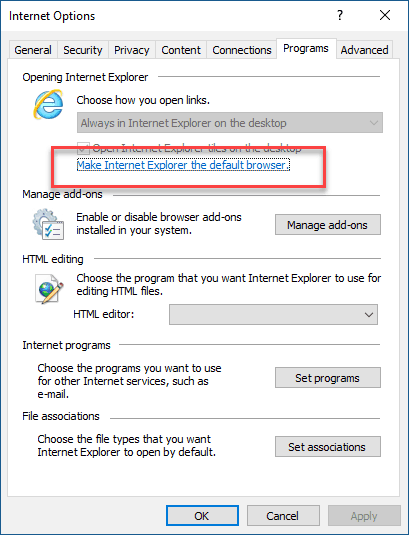 Hopefully, this article has answered your queries on how to change my default browser! If you found it helpful, do consider sharing it on your social media networks! Do you have a favorite browser? Leave us its name in the comment section below. How to Change Language in Google Chrome? How to Make a Yahoo Account Without a Phone Number? 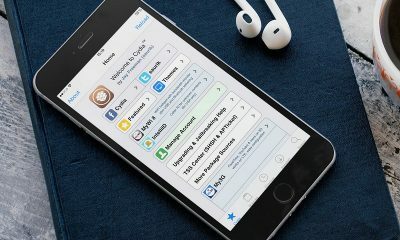 How to Jailbreak iPhone 6? How to Block Game Requests on Facebook?